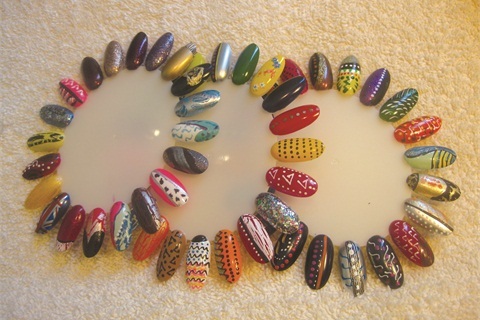 …on a job interview at a salon: creative nails that display your best work. … meeting a celebrity client at her house for the first time: clean, artful nails that showcase that you are in-the-know on the latest trends, such as bejeweled nail wraps. … on set: tidy nails that are camera-ready. You never know when your own nails may wind up on camera. …when trying to ramp up your business: nails that double as marketing materials. Wear an easy artful manicure like a crackle or a matte finish that may be an upsell at your salon.